Advocate file photo by BILL FEIG Former New Roads Mayor Tommy Nelson, left, enters the federal courthouse for his 9:30 a.m. sentencing hearing. He was convicted on conspiracy and fraud charges that resulted from an FBI sting known as Operation Blighted Officials. 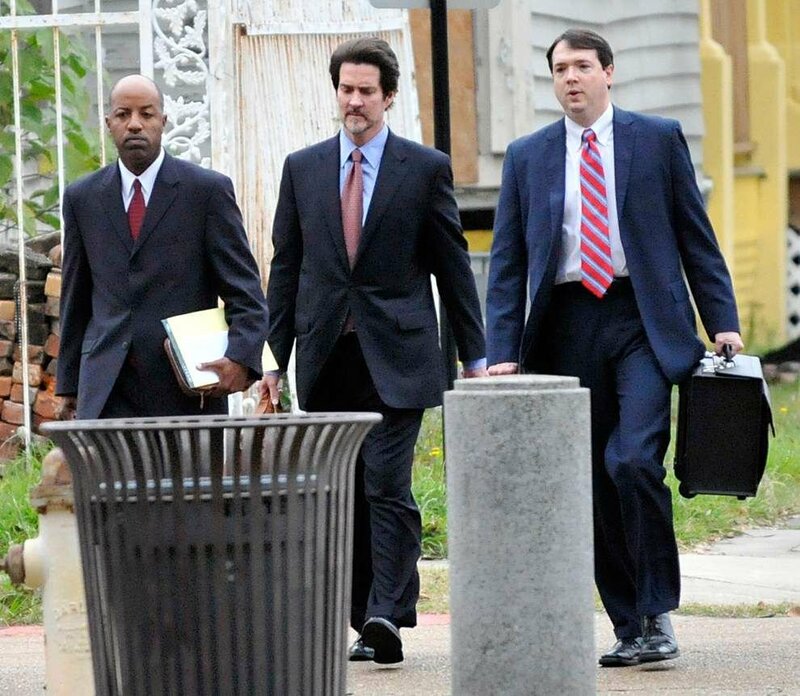 He is in the company of his attorneys, Page Pate, center-of Atlanta, Ga., and Michael A. Fiser, right-of Baton Rouge. 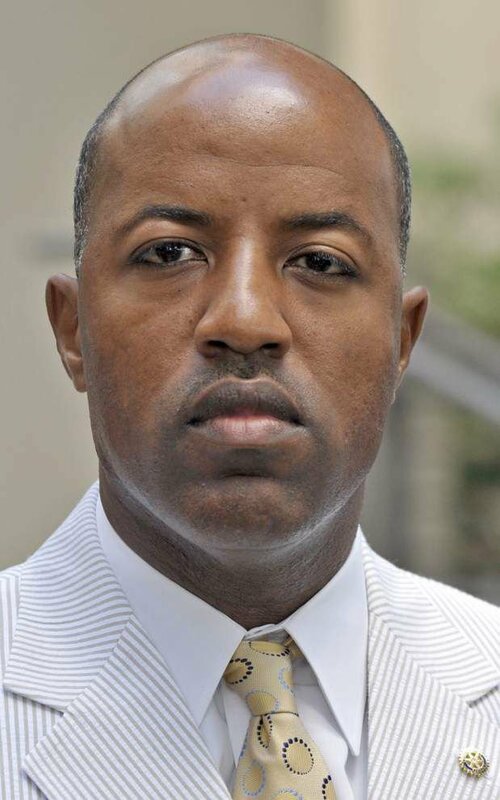 Former New Roads Mayor Tommy Nelson Jr.’s 10-year prison stint stemming from his convictions in an FBI sting dubbed Operation Blighted Officials will stand after a federal appellate court on Friday found no problems with the judge’s sentence. The sting also netted the convictions of ex-St. Gabriel Mayor George Grace, former White Castle Mayor Maurice Brown, ex-Port Allen Mayor Derek Lewis and other area municipal officials. Grace and Brown are serving federal prison terms of 20 years and 10 years, respectively. Lewis was sentenced to 40 months. Nelson was found guilty in 2011 of accepting more than $22,000 in cash and other gifts for his pledge of a municipal contract, which was to have gone to a fictitious garbage can cleaning business called Cifer 5000. He was convicted by a jury in Baton Rouge federal court on charges of racketeering, wire fraud, lying to investigators and using telephones in aid of racketeering. Jurors saw video of Nelson receiving cash-filled envelopes from undercover investigators. Nelson was sentenced in 2012 to 11 years in prison, but while affirming his convictions in 2013, the 5th U.S. Circuit Court of Appeals ordered him resentenced because of an incorrect calculation of his sentencing guideline range. Nelson was resentenced to 10 years in 2014 by Chief U.S. District Judge Brian Jackson, who departed below the sentencing range of 151 to 188 months in imposing a 120-month term. Nelson claims his new sentence is procedurally flawed because Jackson failed to note his cooperation with authorities. “Although the Government did not file a motion for a downward departure, Nelson avers the court committed ... error by failing to exercise its discretion to consider his substantial assistance,” 5th Circuit Judges Rhesa Barksdale, James Dennis and Leslie Southwick wrote Friday. Nelson cites the case of United States v. Robinson, in which the 5th Circuit ruled in 2014 that a district court has “discretion to consider evidence of cooperation” even if the government does not file for a downward departure. In that case, the district court wrongfully concluded it did not have the authority to consider such evidence. “Unlike Robinson, nothing in the record at hand indicates the district court declined to consider evidence of Nelson’s cooperation based on an erroneous belief it lacked authority to do so,” the appeals court panel noted. Nelson’s attorney, Michele Fournet, declined comment on the affirming of his sentence. Former Port Allen Police Chief Frederick Smith was sent to prison for more than seven years in the federal sting, and ex-Port Allen Councilman Johnny Johnson was sent to a halfway house for six months and ordered to serve two years of probation.